Come and enjoy a comfortable friendly place to have food. We’re in the heart of Mt. Shasta. 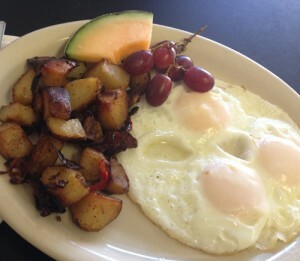 We serve breakfast and lunch during the week, and breakfast on the weekends. All of our dishes are made from scratch on site with all natural ingredients that contain no preservatives or additives. We offer a variety of baked goods, croissants, turnovers, scones, coffee cake, and much more. 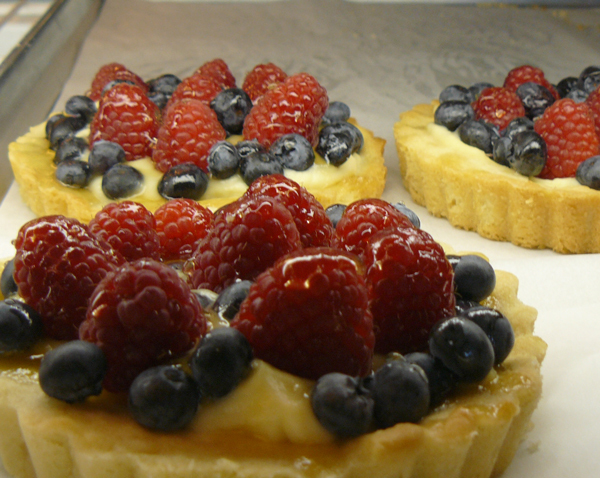 Our bakery is always creating new and yummy pastries. Our breakfast menu includes a variety of egg dishes, french toast (made with homemade bread), oatmeal. Breakfast specials are offered on the weekend and include Eggs Benedict, and Feta Spinach Quiche to name a few. We also proudly serve Peet’s French Roast Coffee. We welcome call ahead orders. For basic orders of a dozen or more pastries, call us by noon, and we will have it ready for you by the next morning at 8 am. For more complex orders, we may need a bit more time. 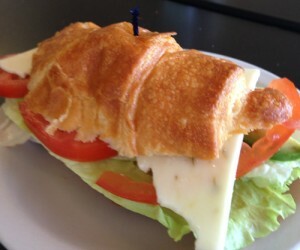 For lunch, we serve a selection of sandwiches on French croissants sandwiches, and our hand made focaccia bread is a wonderful accompaniment to delectable soups and salads. We also offer gourmet and vegetarian pizza by the slice. Come on down and enjoy a comfortable friendly place to have food. We’re on South Mt. Shasta Blvd. in the City of Mt. Shasta, in Northern California, just off Hwy 5.